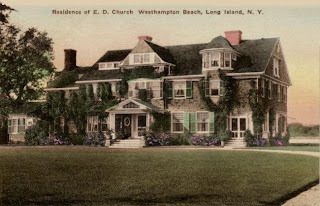 The Elihu Dwight Church residence originally built for Theodore F. Jackson c. 1902 in Westhampton Beach. Church was the chairman of the board of Church & Dwight Co., Inc. Click HERE for more on the residence. 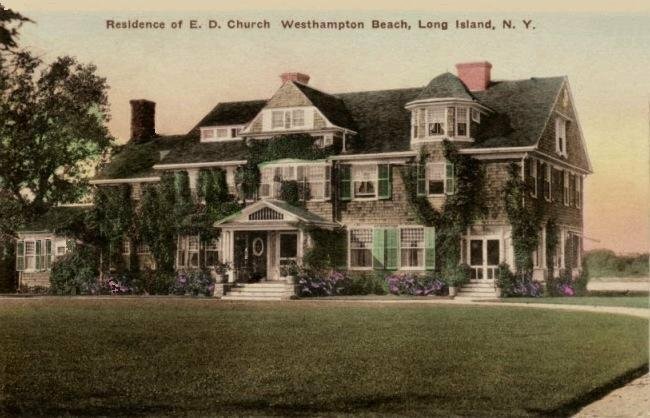 Are there any photos of The Dwight Church residence in Locust Valley? I grew up in the area but have not seen any photos. The estate bordered what became the Shu Swamp Preserve in Mill Neck, but was accessed via Ayers Lane.